Wow, it's just overwhelming. Work that is. Been swamped with work these past few days and I got all the time to make all of them but for some reason my brain kinda empty last night when I wanted to beat the deadline. I dunno but ideas are not coming in my mind even though I took a rest yesterday. I wasn't able to submit 3 more tasks last night but fortunately it's still open this morning so I was able to finish them. Wooo .. I think that's a photo finish. My head is kinda floating or achy right now. It must have been toasted making posts all the time hehe. I'm kinda chilling out right now but later on I will make some more for other companies. I love this job even though it's tiring, just thinking about the moolah on payday makes me ask for more :). I want to treat myself after all these. I deserve one. I do..... Let's see what will I buy or do. Have a great weekend everyone!! I guess I’m one of the many who is so very thankful for the invention of computers and the Internet. I remember I was a bit scared to use the PC and the Internet the 1st time I used them back in the 90’s. It’s funny to recall, because right now I don't know if I could live without them (okay, so some with exaggeration here). I use my computer 7 days a week, and for many hours during each day. I have a net café; I also do desktop publishing where I can make business cards, invitations and more. Aside from those, I still have my other online works that require me to be online most of the time. With my need for the computer having expanded through the years, the desktop pc is not sufficient anymore so I had to buy a laptop so I could work at home or wherever I might find myself. Now that I’m almost tied to my computer there are times that I got piqued when the computers we rent for net access or my my personal machine won’t work. Most of time I do some troubleshooting but since my knowledge is limited when hardware is involved, so I have no choice but to call my technician for help. I am just so lucky to have a good computer technician that I can rely on. For those living in the Portland metropolitan area there is a company of well trained, friendly, and efficient computer repair experts. This company is called PDMD Inc. This company provides Portland computer support for those many people like me, who don't have much knowledge about repairing pc's. We all know that sinking feeling you get when your computer freezes or crashes. What is most important is that this company provides a prompt response, and they can do your repair through a remote internet hook-up. If you prefer they will do a home visit to do the repair. Either way they will respond quickly and to your satisfaction. This company provides service to small businesses and home computers, and offers a 10% discount to not for profit organizations. So now people in Portland have the peace of mind knowing they have a company of computer repair technicians who will respond quickly to their computer service needs. On this day of your life, Jen, we believe God wants you to know ... that every day you are choosing either to be grateful or to be disappointed. You can worry to no end about what you don't have. Or you can marvel at God's breathtaking gifts: the morning dew, the sun, the clouds, the trees, the flowers, the birds. Could you create any of these? These miracles of life are always around you, ready to be celebrated, ready to be welcomed into your life. My oldest brother is into collecting vintage items and other memorabilia. In fact, he has this small area in their house where he displays his collections that he can boast or show to his friends and guests. for they said that it is also a good investment. I'm taking off from work this morning so as usual, I opened Youtube to hear some music. Music helps me to relax and be entertained. Keeps me out from being stress from work. Just one of my favorite songs from beautiful SHANAI TWAIN "You're Still The One". Shaina has this nice and clear voice that is soothing to my ears. I'm a bit busy these past few days so I stopped designing digi-scrapping kits for a while. I already have 5 kits for sale at ARTSCOW and I'm earning slowly from them. I have new color scheme and theme for my next kit and if I'll have more time I'll start it. I'm also sad that I'm not scrapping lately because of work and I hope I can finish another photobook soon. Right now I'm busy blogging and work is good so I'm striking while the iron is still hot. It’s always heartbreaking to see children on the streets begging for food and money. I know if only their parents can provide them with those needs they will be out in the streets for sure. Poverty is the main cause of that and with many poor countries in the world, we simply cannot eradicate it. I know the government, ngo’s and private individuals are lending their hands to those in need but they need more help and sponsors. Sponsor a Child is a great advocacy and if you have the means, you can sponsor one child or children and for sure you’ll bring smiles to faces and bright future for them. I know there are many people who have kind hearts and open arms. 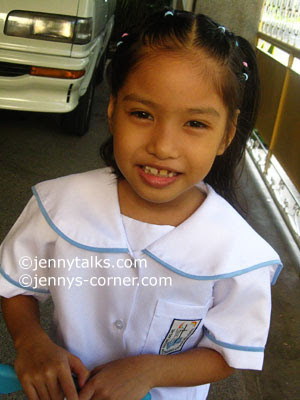 Sponsoring a child can send them to school; they can give foods and even education. I know that helping others without asking something in return is a good deed. A major controversy erupted in the US and it involves TransUnion and creditors. Reports have known that TransUnion, a credit bureau has illegally sold credit information to marketing companies. As a result, many US creditors have been receiving spam mails or even sales calls which are actually annoying. Since then, class suits have been filed and are still filing because what they have done is a clear violation of Federal Credit Reporting Act. A settlement was made and it is reported that a $75 million fund will be distributed to all claimants that will claim up until September 16, 2010 only. Just in case you have credits (home loans, credit card etc.) between 1987 and 2000, you have the right to file TransUnion Lawsuit against TransUnion and claim for damages. Argghhh my back is aching already. Been working since this 8 am and I think I'm already hard on myself. Actually I need to finish lots of work today. The only thing I do is to do some stretching from time to time or I ask my SIL to gently massage my back that is strained du to wrong posture while working in front of my computer. Tonight I want a good massage and a good night sleep. Wow, I'm starting early today. Actually I only had few hours of sleep because for some reason I'm wide awake last night. Anyway, it's weekend once again and I know many of you are always looking forward to this day. A day with family or friends and for home makers a day to do house chores. but I don;t have money like what most investors have. Just a simple self pampering will do just fine. I still have no net at our house so I was forced to make all my online stuff here at my shop. Smart bro technicians are not yet fixing antenna eventhough we have complained it last Saturday. Our net was cut off after storm Basyang came in the country last Wednesday. My mom was supposed to follow up our complaint today but she wasn't able to go so probably tomorrow she can drop by there. Anyway, I'm here at my shop tonight for a sleep over and overtime. I wasn't able to go home because I called mom and it was blackout as well from 3pm till 9pm when I called. Gosh such a sacrifice. I'm doing overtime now and I hope that I'll be needing wrinkle cream soon most especially when I work late at nights. License plates are the primary identifiers of any car that is registered. It is required by law enforcement and insurance companies that unique number plates are visible on every vehicle. Many people don’t think too much about it; the numbers are presented on their car and listed on important documents and forms. You can simply take whatever numbers the dealer assigns when you purchase the car, but it is also possible to select your own numbers or obtain a custom plate if you wish to. In the United Kingdom, car plates have a number prefix and a series of letters afterward, similar to the double number and letter combinations used in the United States. It is also possible to get a plate with letters only or with just numbers. Whether you select a number and letter combination, or a mix of both, there are millions of combinations. Some companies keep a database of the combinations available for purchase, and allow customers to search the catalog of plate numbers at no cost. Some people take their plate registrations very seriously. Once you browse lists of numbers or enter a search term that will yield similar plate numbers, you can see the plate as it would appear on the vehicle and buy it from the site. Online purchasing is available for registered numbers. Online purchasing makes the process of ordering license plates easy, but you can also call a sales number if it is available. A company may also hold auctions in which registrations can actually be bid on in person, by phone, or via the Internet. There are many places that sell car registration plates. It is relatively inexpensive to buy a personalized registration, but if it is a popular name you want on your plate, you could end up spending much more. Collecting something as a type of hobby that is quite addicting. I remember the days when I used to collect those small display soaps and other figurines as I’ve been scouring different craft or specialty shops at the malls hoping to find a different color or designs of my collection. Though it may seem weird for others but I found joy in them and I know that there are other collectors who are like me. There are others who collect toys, coins, stamps and more and I guess you just need to find something that you love. 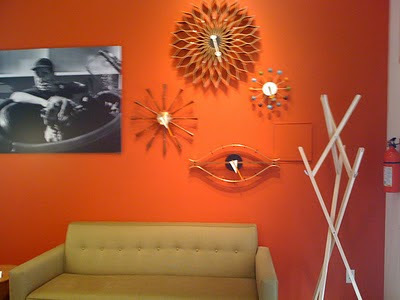 My older brother loves vintage items and he even has a small gallery in his house where he can boast his items. For sports fanatics, I’m pretty sure that collecting merchandise such as caps, mugs, shirts etc. of their fave team or player will bring joy to them. There are collectors who have stepped a higher level when it comes to collecting. Aren’t you glad that technology has greatly affected us in good and bad ways? It’s like waking up to a whole new world where we need to keep ourselves abreast of the ever changing phase of our lives and communicate with lightning speed in these modern times. 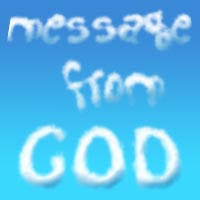 The Internet, gadgets, games and more have enveloped us and I guess we can’t alienate ourselves from those in this age. For those in the business world, their communications and other transactions reached a new height with teleconferencing services. Web conferencing as I often hear from friends who are working in a company, has been used to communicate with their superiors or clients during meetings. Lucky for them because, aside from working at home, they can even attend meetings from the comfort of their home and without wasting time or money, through this amazing technology. Accessing documents during this conference is also not impossible despite the distance and not being physically present. Video and audio conferencing are great ways to interact and communicate as well. These teleconferencing services are made available for business and even for personal use by companies like the Conference Group at very competitive rates. No wonder companies or business owners are communicating faster than usual and with more productivity and effective meetings because of these services. I have come to realize that these kinds of methods can enrich our lives and bring modern conveniences to our increased interactions. Oh dear, I guess you've read lots of stories from bloggers about their experiences during the storm BASYANG that hits our country hard on Tuesday. The weather was too bad that day, mid day more classes have been suspended because of the signal warnings announced. The gusty winds coupled with rain were all its mighty in the evening and it was just too scary to even go out. I was doing some online works when I heard over the news that this storm can hit our place hard. True enough around 12 midnight, the wind was just so powerful and the electricity was cut off already. I could hear the loud gushing of the wind and the trees on our backyard and I was praying that not many will be affected. I was a bit sleepless that night bec. I also heard 2 loud explosions, most probably power transformers. I think I slept peacefully at 3 am. The whole day of Tuesday we have no electricity, no telephone connection, not much water, I almost got insane (hehe). The power went back after 23 hrs! Still thankful bec. our place and our house was not damaged! In countries where computers are still scarce, access to the Internet has been difficult, slow, and expensive. People living in African nations have the worst Internet access of anyone on the planet. Compared with countries like Israel, where it is estimated that seven people in one hundred have a computer, most countries in Africa, like Kenya, have startlingly lower statistics. Recent counts in Kenya estimate that there are only about two computers per one hundred people. Although, thanks to Internet cafes and schools, about nine people in one hundred have Internet access. Because there are so few people using the Internet in Africa, it hasn’t proved profitable to provide faster, easier Internet access here—until recently. Use of the Internet in eastern African countries has been facilitated lately by the arrival of broadband. A fiber-optic cable buried under the Indian Ocean will provide this new service. In places like Kenya, satellites have previously provided Internet access—the slow, often-interrupted access that has so frustrated users. But the weather and other conditions that affect satellites will not affect the undersea cable and will replace the old connections with faster, more reliable ones. Developments like this can mean a large economic boost to historically impoverished areas. Companies providing cell phone and Internet service will begin offering broadband deals in countries where there has previously been no market. The increase in speed of communication and the new ability to successfully advertise or set up a business online means that many Kenyans and other Africans will have new opportunities to connect with a global market. Some even anticipate the arrival of broadband in Africa could help save lives. Sick people with access to a computer could be diagnosed from home. In African countries, where there may be only one doctor per six hundred people, this new technology could indeed be a blessing. 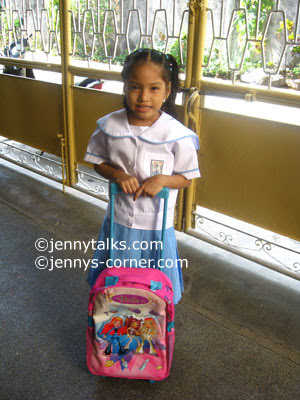 My niece Reign who is now Grade 1 at a private school here in our place is actually enjoying her schooling. I can see that she is learning her notes fast and even saw some of her quizzes. I have seen her notebooks and I noticed she has a very good handwriting and as usual nice drawings. Kids really grow up so fast and few more years she'll be in highschool and for sure will be worrying about teen crushes, adult acne treatments and what clothes to wear. Now she's already picky on what clothes she wants to wear esp. when we're going to church. 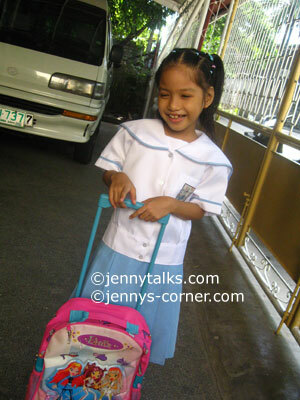 Love this photo because she's all smile before going to her school on the 1st day of her class last June. 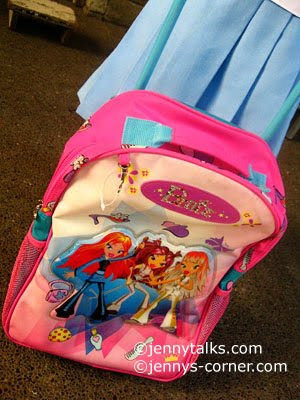 She's showing off her new Bratz bag given by her Aunt long time ago. Oh dear, I'm actually under the weather right now. I've been feeling crap since yesterday. This cold is getting worst so I need to take my cold medicine already. My migraine also attacked last night so that made more uncomfortable and sickly :(. I should have taken my daily dose of vitamins so that I can be more healthy. When I'm feeling like this my appetite seems to be affected as well, now I really don't need any best weight loss supplement because I've been eating less since Saturday. I'm hoping to recuperate asap because I still have lots of work to do. My mom who used to be a hairstylist way back in her younger years has so much memories and skills that she has actually imparted over to us. Though no one in our family has actually pursued the career professionally, my youngest sister loves cosmetics for her own personal use. In my option she can actually do it with a fee is she wants but she said she still needs to hone and learn more about the craft. is another great campus where students can learn from their experts instructors. Online friends Abie and Joy gave birth last month to a cute and healthy baby boy and girl respectively. For sure they've taken care of their babies while inside their wombs by frequent visits to their OB, taking prenatal vitamins and lots of good rest. They are one proud mommies once again, congrats A and J! Funny thing is that we (twitter friends) even had bet ($5 each) on when will Joy gave birth. My bet is June 22 but J gave birth on June 23, I almost won hehe. I think some friends also bet on what time Abie will gave birth. Yay, it's Wednesday once again and time flies really fast. I had one of those days where my cleaning mode just pop in. It is seldom that my mood turns that way so I was happy that I had done quite a lot of things in our house the other day. I was able to clean some parts of the house and eventhough its tiresome, the outcome was enough to make me smile. Our garage needed some attention too, so I quickly grabbed the water hose and started cleaning it. I didn’t have much time and energy left to do our backyard and doing alone is not fun as well so I skipped it. I thought it also needs some serious make over since at times it serves as the extension of our living room. Our outdoor patio serves as a good place to mingle and socialize with friends and relatives so we have to make sure that it’s also presentable.